Today I want to give you a little glimpse behind the scenes of a company that Everything Summer Camp is delighted to be working with: Columbia Sportswear. Columbia is a family-run company that, in its seventy years of business, has gone global. After seventy years of continually satisfying their customers and beating their competition, Columbia likes to think that they know what it takes to make exceptional outdoor gear. How are they so good at improving their products and evolving as a company? Because they love the outdoors—just like you. Columbia is more than aware of the gear you’re going to need in order to enjoy your summer camp experience to its full capacity; and with recent advancements in technology, Columbia’s high-quality performance apparel is able to protect you from harmful UV rays as well as buggy locations! 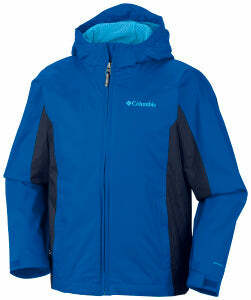 From Columbia jackets to a sleeping bag, they’ve got a wide range of products. Columbia is a company whose history is centered around one, great woman—Gert Boyle. Gert is the Chairman of Columbia. The company’s story begins in 1938, when two German nationals (Gert’s parents) fled Nazi Germany and bought a small hat company once they arrived in Portland. When they came upon the Columbia River they knew they could make this new place their home and they named their new hat company after the body of water that helped encourage their stay. With the freedom of their fresh start, the company supported the Boyle family. Gert grew up, got married and eventually her husband took over the company. When Gert’s husband died, she took over. She stepped right up and transformed herself from a housewife one day to an executive the next! Still a family-run business as it’s always been. Columbia is now run by Tim Boyle, Gert’s son. Tim has now been the company’s longtime president and CEO. Thanks for reading. Till next time, Camp Fans!